Hyundai had made preliminary sketches of the upcoming Elantra public few days ago. 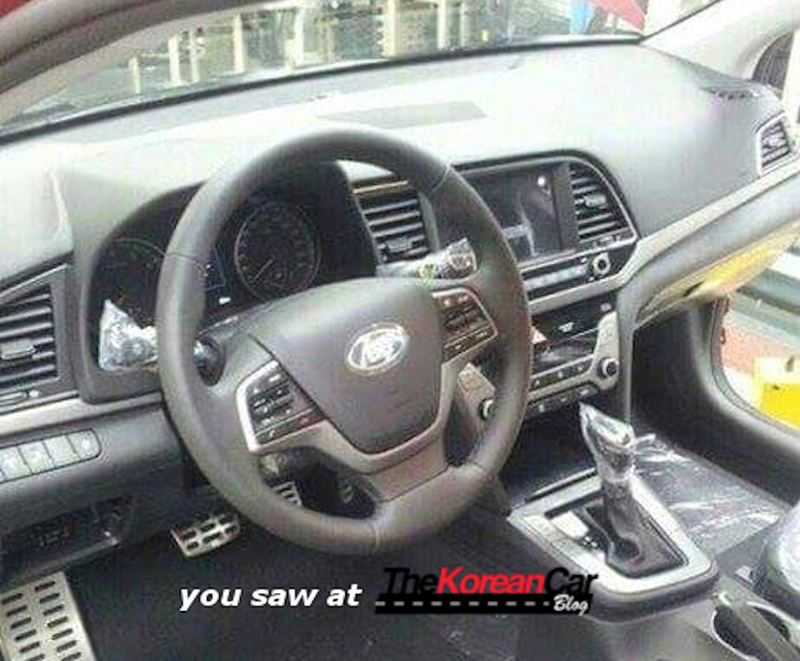 Now undisguised pictures of the car are circulating on the internet courtesy a Korean blog. The picture has been clicked on the production line. Next Gen Hyundai Elantra would debut at the Los Angeles Motor Show that’s scheduled to open its doors in November. The design follows the fludic language seen on all the Hyundai cars and is more evolutuionary than revolutionary. The front is very aggressive with a large hexagonal grille with five slats. The integrated foglamps are in the shape of a boomerang. 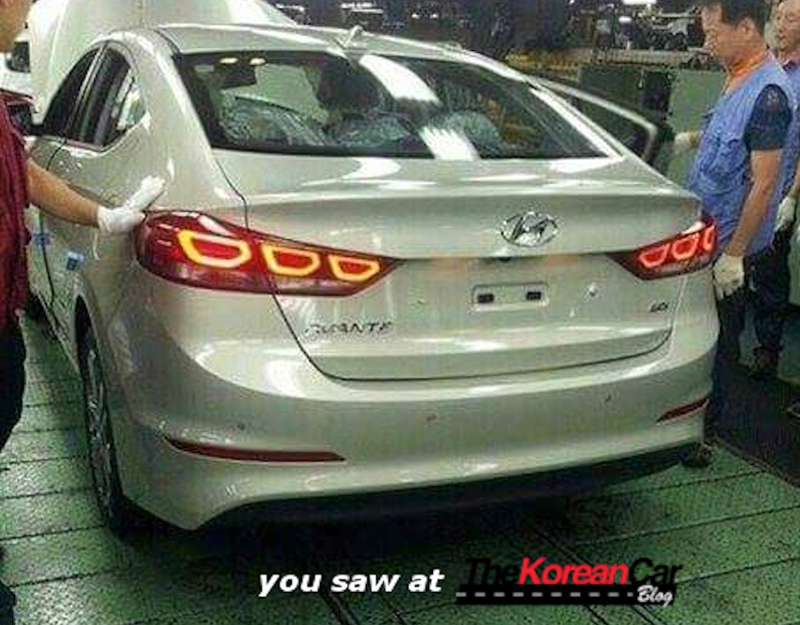 It has nice and clear lines beginning at the shoulder , merging into the tail lamps. The designers had some fun with LED lighting housed in the tail lamps, which looks quite attractive. The car stands on 16 inch 10 spoke alloy wheels. The steering has a three spoke wheel with steering mounted controls and a large screen housed elegantly in the dashboard. From the images, the quality of materials looks good. Powering the Hyundai Elantra would be 1.6-liter T-GDi engine from the 2016 Hyundai Tucson, which makes 175 hp. It is paired to Hyundai’s new seven-speed dual-clutch gearbox. As for a diesel option, it could also source the new 1.7-liter diesel engine, which delivers 141 hp and 340 Nm of torque in the Hyundai Sonata, and is also mated to a 7-speed DCT. This car might make its debut in South Korea as the ‘Avante’ as soon as next month with the world wide premier Los Angeles Motor Show in November. Read about the performance Sub-brand ‘N’ from Hyundai here. BMW M4 GTS launched and its slick! !